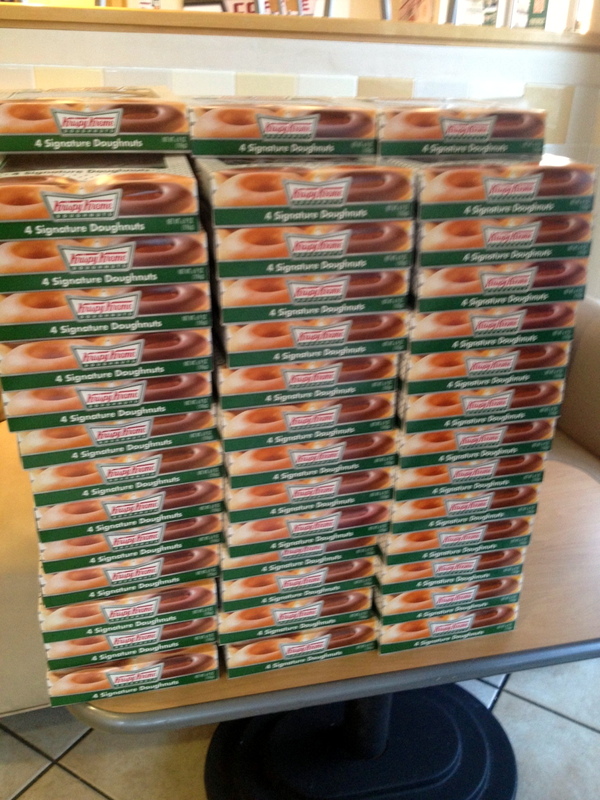 And again...a big thank you to our good friends at Krispy Kreme! 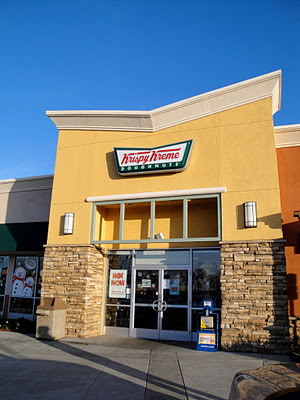 You might remember last year on Christmas Eve, they provided us all of the doughnuts at closing time. 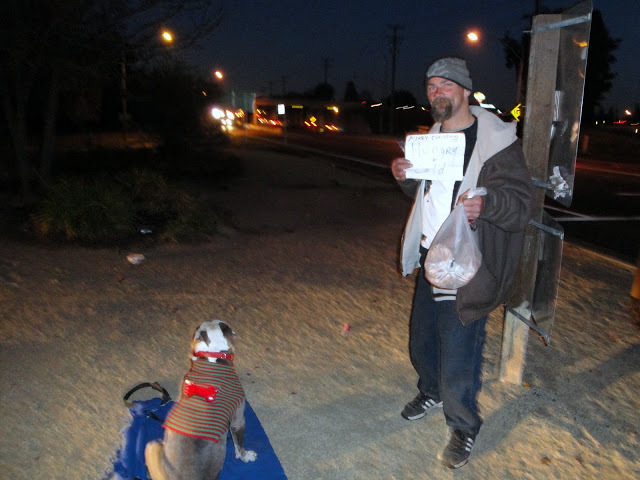 We then took them down to the hospitals and to the homeless. Sometimes you can pinpoint a moment in time. This was it. This was the exact moment that changed Aviana's Elves for this year. It was on this crisp, cold Christmas Eve night. It was this man, with this dog, wearing his little red and green striped sweater, on this corner. 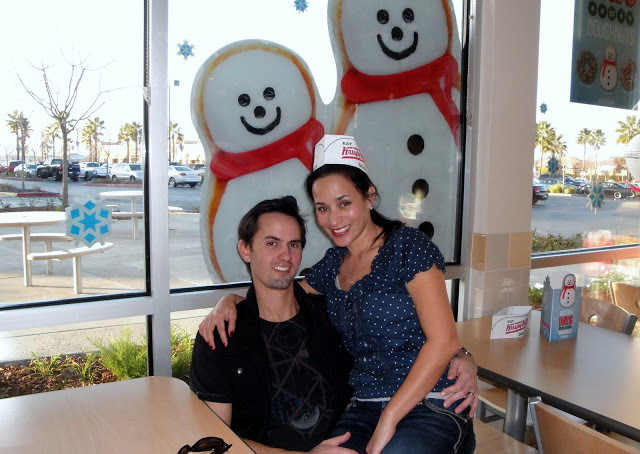 He was so sweet, and so thankful for the bag of doughnuts he had just received. I don't know what's in store for the future of Aviana's Elves, but what I do know is this - it will always be drawn in the design of helping those most severely in need. It just makes perfect sense. If you look to Aviana's background from Guatemala, and combine the ways in which I have always felt compelled, and the charities I have veered towards, all of the pieces just fall right into place. We will follow where the need is greatest...always. This year, we were leaving to Tahoe - so Aviana asked her best Elves if they would carry on while we were away. 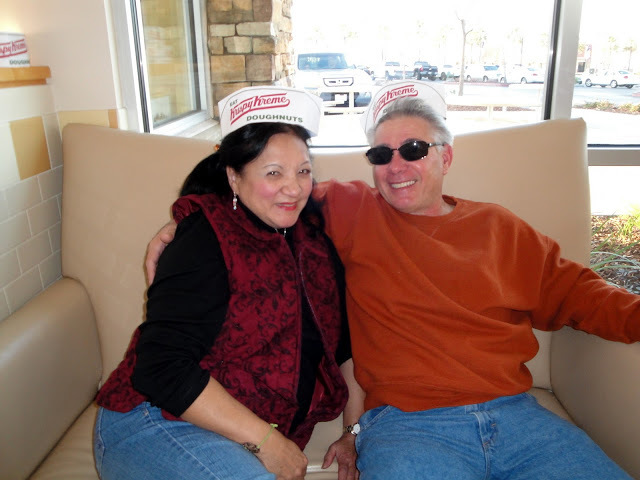 They graciously agreed : ) My Mom, Gary, and Amy met at Krispy Kreme and along with their amazing staff, they packed the remainder of the doughnuts. Amy and her sister Megan then drove down by Loaves and Fishes and gave them all out! Amy said it was so rewarding to give something so little to people, and have it mean so much. She said every single person she encountered was both gracious, and appreciative. She also said the experience was really uplifting as everyone's response to them was some variation of, "Merry Christmas, God bless you, thank you" and much more. like a toilet. A shower. Through their graciousness, they gave her the Christmas Spirit she so desperately needed this year - they gave her more than she gave them! Amy and I couldn't stop talking about her night. It's no wonder we're two peas in a pod, we both felt this Christmas Eve experience was one of the single best of our lives! To Susan...and the rest of the staff at Krispy Kreme - thank you for showing us, and those we continue on to such kindness! what a great thing you have done! happy holidays to you and yours. Krispy Kreme is so generous! I'm glad that the tradition was carried on. So wonderful! Beautiful! That is what Christmas should be. His love being shared and passed around.